This recording features Sergei Rachmaninoff’s Symphony No. 2, a work which premiered in Moscow in February 1908. 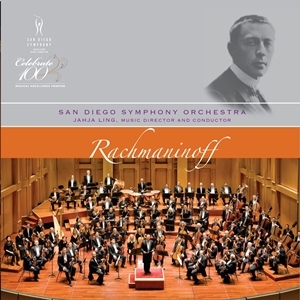 This symphony is Rachmaninoff’s longest and most ambitious orchestral work, known for demonstrating his chief artistic virtues: soaring melodies, Slavic intensity, contrapuntal writing and powerful climaxes.